I went to a Candlelit Vigil march in Minehead last night, it started off on a high, feeling positive and meeting people we’ve met at other events and meeting new people too. I was surprised to see pro-cull supporters in the crowd too doing a terrible job of blending in, taking lots of photos of us all ! There was a lot of press around and Maria below was interviewed in this video http://www.bbc.co.uk/news/science-environment-23847028 The march itself at dusk with everyone holding candles was quite moving. There was about 300 of us there, all ages, all walks of life, all united in thinking this cull is very very wrong. Green Party leader Natalie Bennett, speaking tonight as protesters gathered before the planned start of the slaughter of up to 5,000 badgers in six weeks in Somerset and Gloucestershire, condemned the cull plan as inhumane and unscientific. Bennett said: “I completely understand the distress that the continuing problem of TB in cattle is causing to farmers. But wanting to do something should not be pushing this government to make the terrible decision to go ahead with this cull, which could actually magnify the TB problem. “As the Randomised Badger-Culling Trial (RBCT) concluded, the focus of funding and research should be cattle-based measures to control TB, and funding for badger vaccination trials should be restored. Why I joined the Green Party #1 Why are we trawling our seas? MC329 We would press the European Commission to ban bottom trawling, gillnetting and long-lining for deep-sea species in EU waters., either by EU or international fleets. We would promote measures to prohibit destructive deep-sea fishing and would work towards a ban on high seas bottom trawling, and for proper implementation and enforcement under relevant international legislation. Should we save the red squirrels? Should we save the red squirrels? Now there’s a question for you! We went to “Red Squirrel Day” on Thursday at Escot – just up the road here from Honiton. I had read a bit about the new squirrel project on the Escot site and watched the little video. 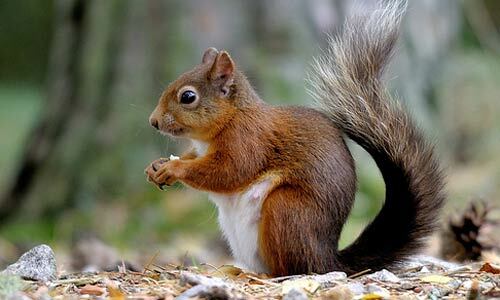 Red squirrels are Britain’s only native squirrel. They were once widespread across the UK, but over the last 50 years they have undergone a huge decline with their range now restricted to Scotland, Northern Ireland, Northern England and small pockets of Wales and southern England. Autumnwatch has laid out the key arguments for and against saving the red squirrels – click here. As a vegetarian, I’m against killing animals which is what you need to do in order to preserve the red squirrel – kill many many grey squirrels. The grey squirrel is a stronger species. It eats more of a variety of food than the red, it is immune from the disease which kills the red and it breeds each year (the red won’t breed if it is not the right weight etc). It is very unfortunate that this situation has come about and yes, the reds are adorable but I like the greys too and they shouldn’t be killed. An ideal situation would be to vaccinate the reds against the disease the grey squirrels pass onto them but apparently this is at least 10 years off. What do you think – add your comment. Heard the news? Ken has dumped Barbie! He’s discovered that his long time lover is destroying Indonesia’s forests for those pretty pink boxes she likes to wrap herself in. You can’t blame Ken. As you can see in the , he’s just seen the results of the latest Greenpeace investigation which shows how Barbie is threatening the future of endangered species and the stability of our climate. The paper used in Barbie boxes – like palm oil which Greenpeace has campaigned about in the past – comes straight from the rainforests of Indonesia, home to rapidly vanishing creatures such as orang-utans, and Sumatran tigers (pictured below) and elephants. Ok, maybe it isn’t all Barbie’s fault. Mattel, the company behind the malevolent mannequin, is the one responsible and this new global investigation has uncovered the links between Mattel and our old friends, the notorious Asia Pulp and Paper (APP). Which is why activists dressed as Ken have scaled Mattel’s headquarters in Los Angeles, while back in the UK Greenpeace has helped spread the word about Ken’s announcement with a guerrilla advertising campaign launched in Piccadilly Circus and with adverts on bus stops and tube lines. By analysing the fibres in Barbie packaging and digging into the commercial links between various companies, Greenpeace has been able to link the carbon-rich forests and peatlands of Indonesia with the packaging of toys on sale in shops around the world. The trail leads directly from Mattel to APP and its suppliers in a chain of destruction that spans the globe. And it’s not just Mattel; catch up with how Greenpeace has exposed Hasbro, Disney and Lego for also using paper fibre from Indonesia’s rainforests here. Family fun days, a food festival, an eco-fashion event, a variety of guided walks and tours plus a series of free community events are on offer at this year’s Low Carbon Festival on Exmoor and Dartmoor. The Festival follows on from the success of the inaugural Dartmoor and Exmoor Low Carbon Festival in 2009. A series of free events and guided tours across both National Parks will highlight what measures are being taken to reduce carbon emissions and how we can adapt to the ever growing pressures on our resources. Exmoor National Park gets the Low Carbon Festival underway on Wednesday 6 October with a Wood Event at the Cutcombe Livestock Market,near Wheddon Cross, where a particular focus will be the chance for farmers to explore opportunities as both suppliers and users of wood fuel with free and impartial advice from National Park Authority staff on wood fuel heating and funding. On Thursday 7 October there’s a guided tour of renewable energy installations on Exmoor looking at each major type of technology and getting the lowdown on how each works. The cost of the day is £20 and a minibus will be provided, but people should bring a packed lunch and wear suitable clothing for a day which will be spent mostly outside. Booking is essential, please call Ben Eardley on 01398 323665. The Dartmoor Food and Drink Festival will be held at Finlake Holiday Park over the weekend of 9 and 10 October. There will be the opportunity to watch local chefs showing how to make the most of local supplies, cookery classes for children and each day will finish with an audience participation ‘Ready, Steady, Cook’ class. The date of the festival is also deliberately timed to coincide with the international day of carbon reduction on Sunday 10 October. 10:10 is a nationwide campaign to get individuals, businesses and organisations to commit to reduce their carbon emissions by 10% in 2010, and working together to make it happen. Use your vote on May 6th to ensure that the present laws protecting animals from cruelty are kept in place, more carefully monitored, legally tightened up, and fully enforced. I’ve signed up to show my support to Brian May’s website http://www.save-me.org.uk and you can do too – if you like me, do not want to see a repeal of the Hunting Act. The results of the General Election on May 6th 2010 could lead to a repeal of the Hunting Act – which currently protects our wildlife by banning hunting with dogs. Make sure you know where the candidate you are considering voting for stands on the repeal. The www.save-me.org.uk website ONLY supports candidates who stand against the repeal. 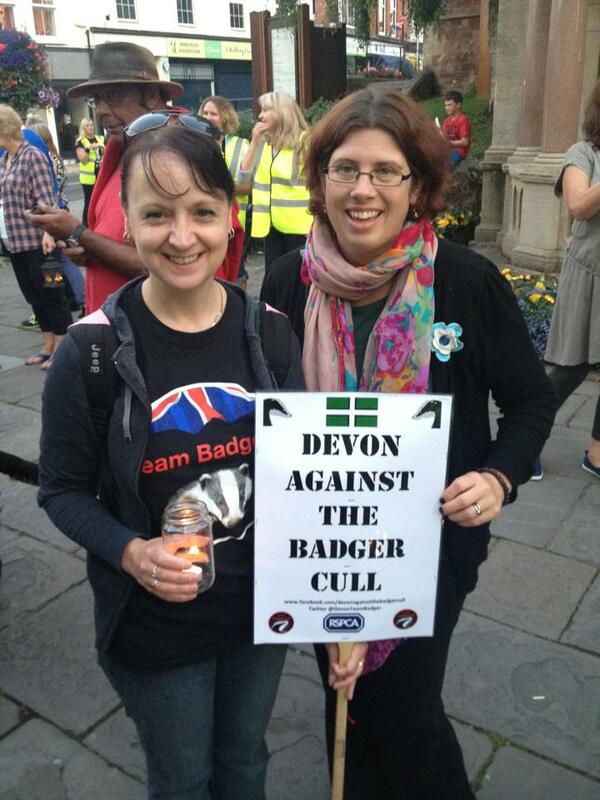 Sharon Pavey, Green Candidate for East Devon would not vote for a repeal of the hunting act. 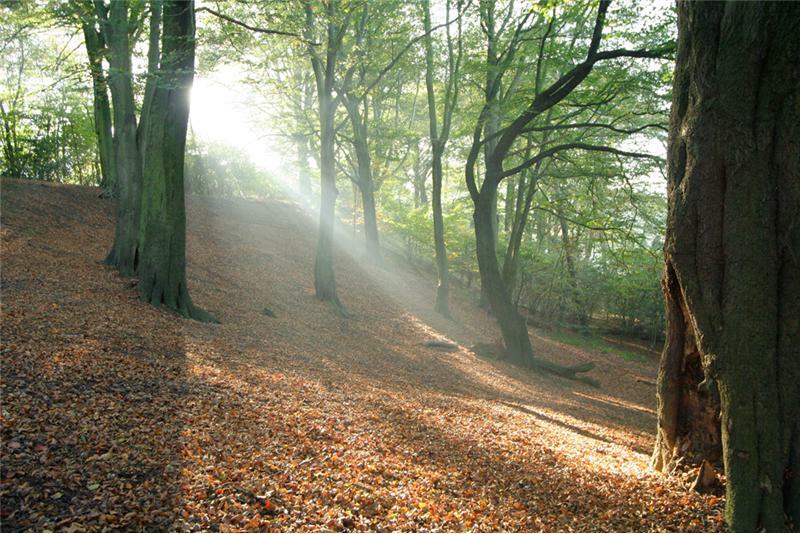 As a candidate at the general election I believe that creating new woods and planting trees is a priority if we are to tackle challenges such as climate change mitigation and adaptation, wildlife loss, improving public health – both physical and mental – and shaping places where people want to live, work and spend their leisure time. 1. Committing to working for the expansion of native woodland cover throughout the duration of the next Parliament. 2. Contacting my party leader and asking them to adopt the Woodland Trust’s manifesto as a basis for expanding, enhancing and protecting the natural environment. 3. Ensuring that native woods and trees are high on the agenda at the election by publicising my support for the Woodland Trust’s manifesto. Thank you to everyone who has sent me a link to this campaign, asking me to support it. 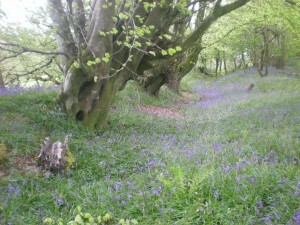 It’s my pleasure as I have always loved woodland areas, both in Devon and in the north east where I grew up. I’m very fortunate that where I live now there are lots of woods and one of my favourite sounds when walking my dog is the woodpecker. I spend a lot of time trying to find where the industrious ‘chip chip chip’ sound is coming from (often failing!) 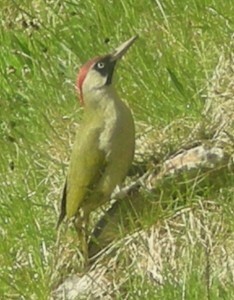 and when I’m really lucky they come to feed at the bird table in my garden – and here’s one I photographed on my lawn. Other delights I’ve seen recently in the woods of East Devon are a mischevious litter of fox cubs who didn’t realise I was there and a splendid dashing kingfisher just last week. We also like to go deer spotting with our two young children and we are looking forward to seeing the incredible carpets of bluebells in our local woods very soon. Here’s a picture I took last spring. Did anyone see….’The End of the Line’ last night? Thanks to Geoff (East Devon Greens) for suggesting watching The End of the Line last night. I was happily having my usual Saturday night veggie curry when the blood started flowing or should I say literally gushing. 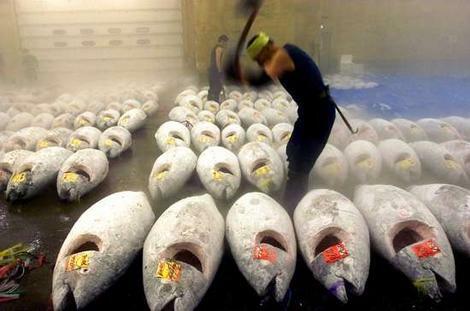 As an ex vet nurse I’m not squeamish in the slightest, but I was shocked by the way it was filmed to show the worldwide fishing industry to be an extremely desperate, avaricious affair. The horrific scenes of the glorious blue-fin tuna being hunted with huge nets, dragged on board and hacked to pieces (while still alive and flipping about) were enough to turn anyone’s stomach I’m sure. The End of the Line is Rupert Murray’s acclaimed film, which examines the consequences of unchecked, unregulated sea fishing across the globe. 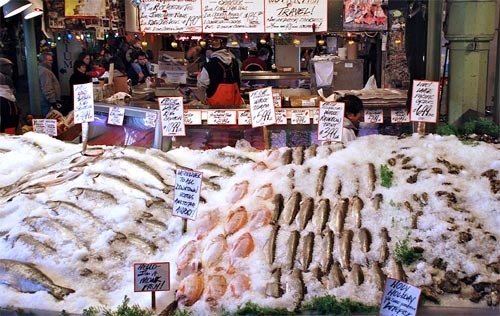 The documentary reveals how chronic overfishing could lead to the total extinction of the wild fish many humans rely on for food, within 50 years. It is not a film about what might happen, it is a film about what has happened. The collapse of the cod population, in Newfoundland, saw the end of 40,000 jobs; the bluefin tuna is being hunted to extinction; it takes five kilos of anchovies to produce one fish farmed salmon. And while there are some positive signs, with retailers such as Walmart and McDonalds both selling fish from sustainable sources, some outlets still sell endangered species. The final chilling conclusion is, unless more radical steps are taken globally, including the reduction of overfishing, it will take just 50 years for the world’s oceans to be all fished out. PLEASE ADD YOUR COMMENTS BELOW – WHAT DO YOU THINK ABOUT THE FISHING CRISIS? Me and my children are vegetarian so don’t eat fish but we do give it to our cats and my dog adores fish. I will be making an effort from now on to only buy sustainable fish for them.